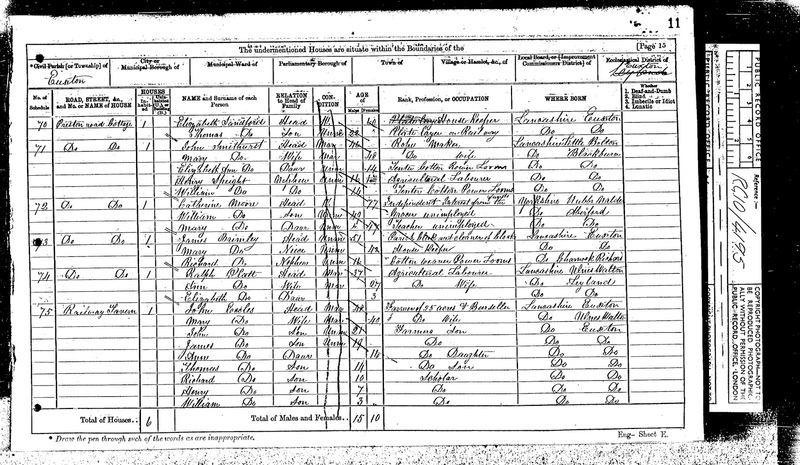 The Railway Tavern first appears on the 1861 Census but was probably run as a beer house long before that time. 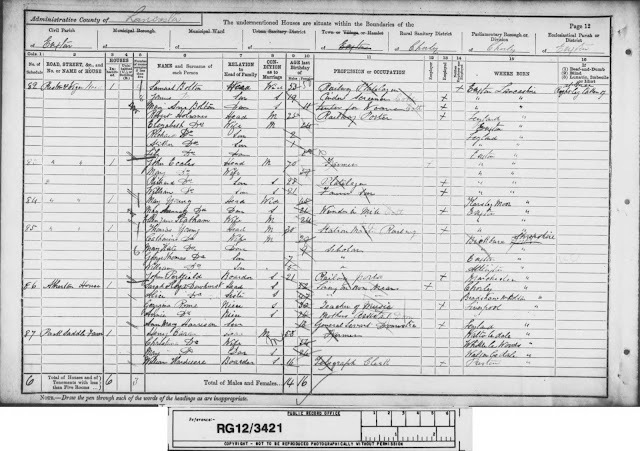 The first landlord John Eccles is listed at the property in 1851 as a farmer and it was run as both a farm and beer house for many years; in 1911 this was stilll the case. 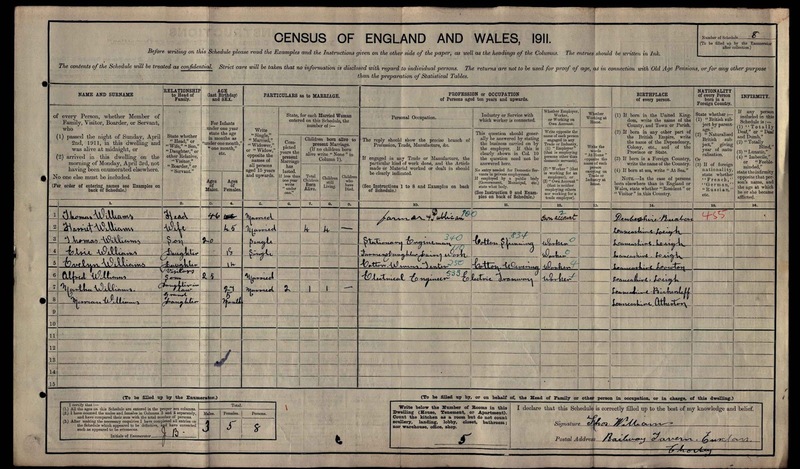 Listed landlords are recorded as John Eccles (1861-1899), Mary Eccles (1899-1901), Thomas Williams (1911), Thomas Bolton (1933-44) and Paul Rogers (2009). 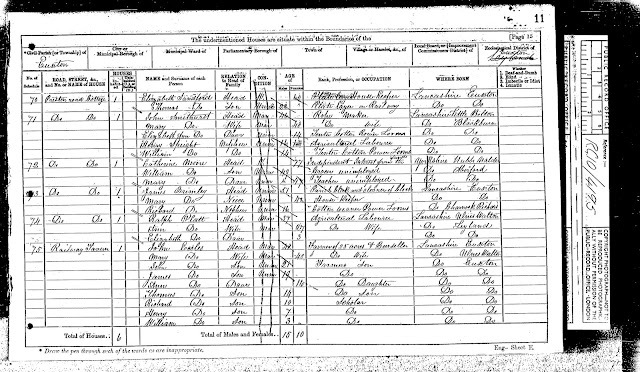 An Assessment for the Relief of the Poor of the Township of Euxton, Lancashire made 4th October 1880 records the landlord as John Eccles and owner as William Ince Anderton. The house and and land are recorded as being in the Shaw Bridge area of Euxton. 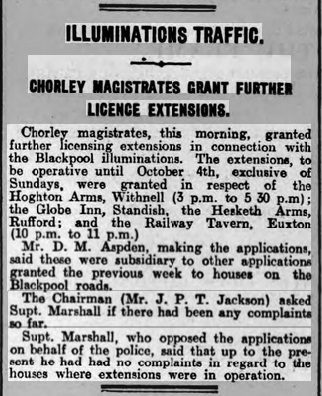 The rate for Special Expenses Assessment made 13th October 1897 on the Township of Euxton, Lancashire again showed John Eccles to be at the helm and the beer house owned by the Anderton family (Beer House, Shaw Bridge). 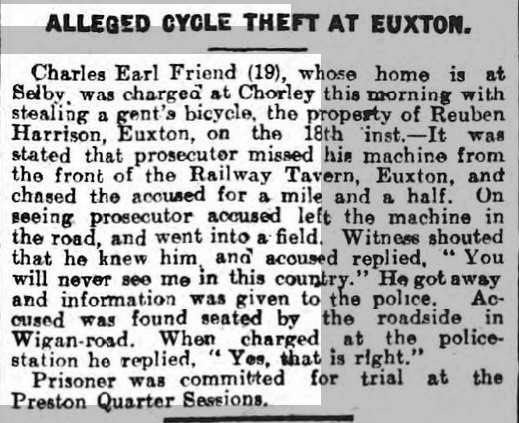 As these press cuttings show, the long serving landlord of the Railway Tavern, John Eccles died as a result of the collision with a cyclist at the bridge underpass near his home in 1899. 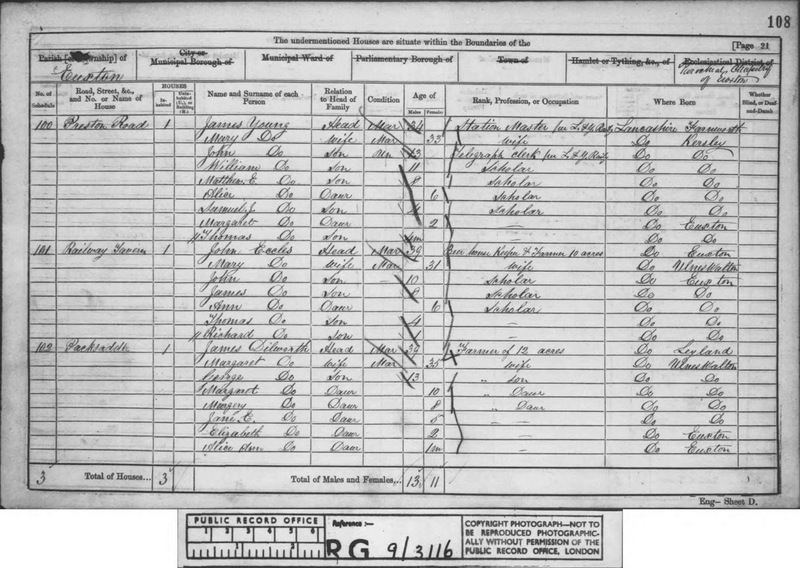 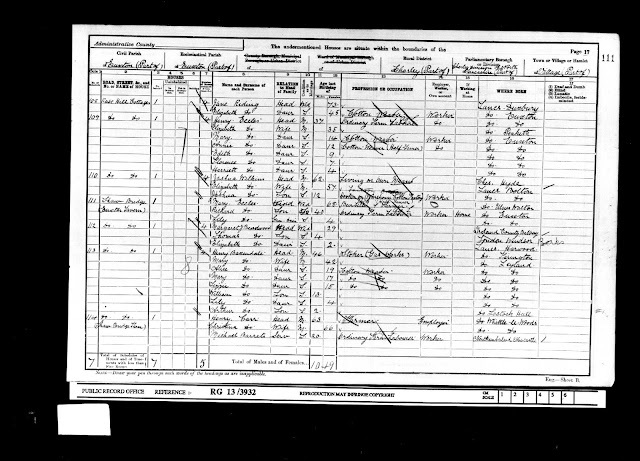 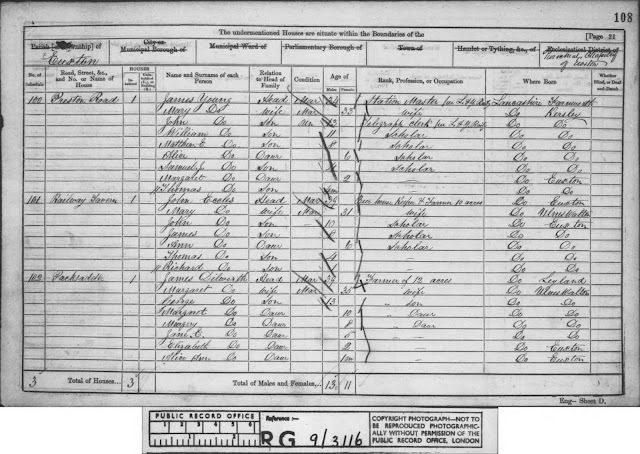 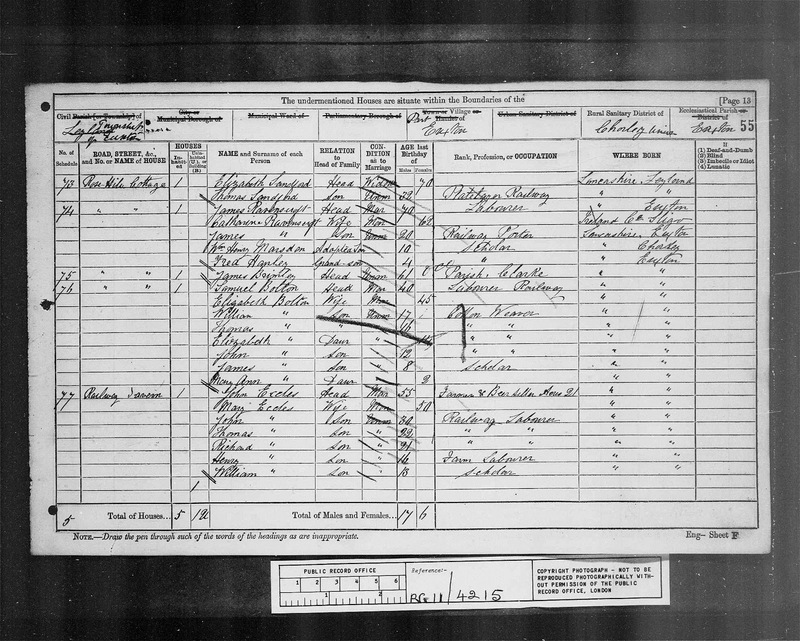 In 1901, two years after his death his wife Mary was still running the Railway but it is recorded on the Census as the Euxton Tavern. 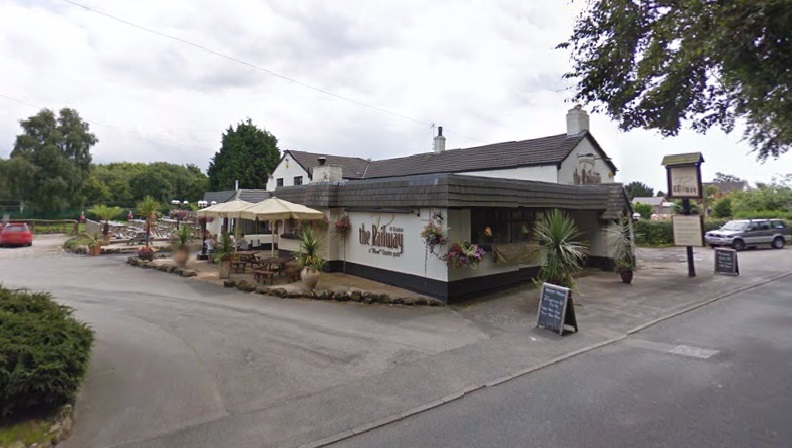 Over the next 100 years it was to change names several more times; after the building of the nearby Royal Ordnance Factory it was re-named the Royal Ordnance; the "Royal" was later dropped to just "The Ordnance" before it resumed life as the Railway Tavern, as it is today. 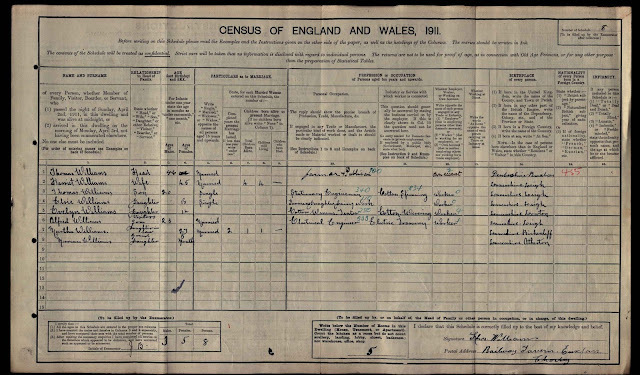 An Assessment for the Poor Rate for the Township of Euxton made on 18th October 1910 showed the first change of management for over 50 years when Thomas Williams was the new landlord; it was still owned by Major Anderton.